To facilitate the bulk production of freeze-dried foods, they may be flash-frozen beforehand using cryogenic fluids like liquid nitrogen. 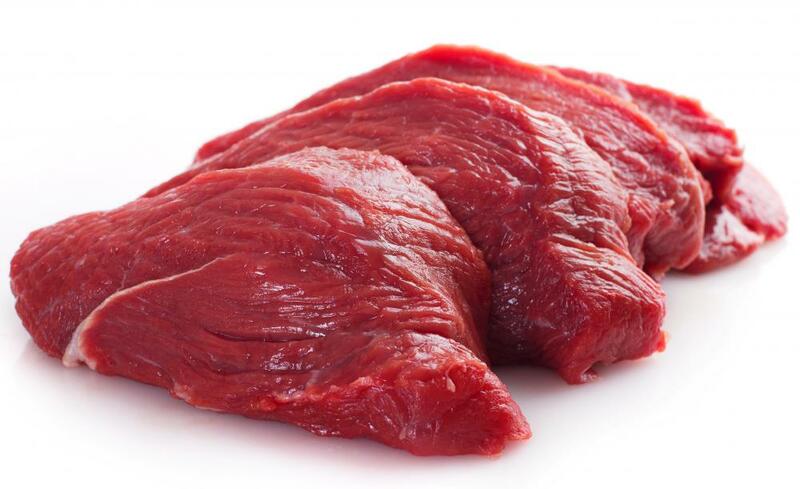 Some freeze-dried beef is processed from a raw state. 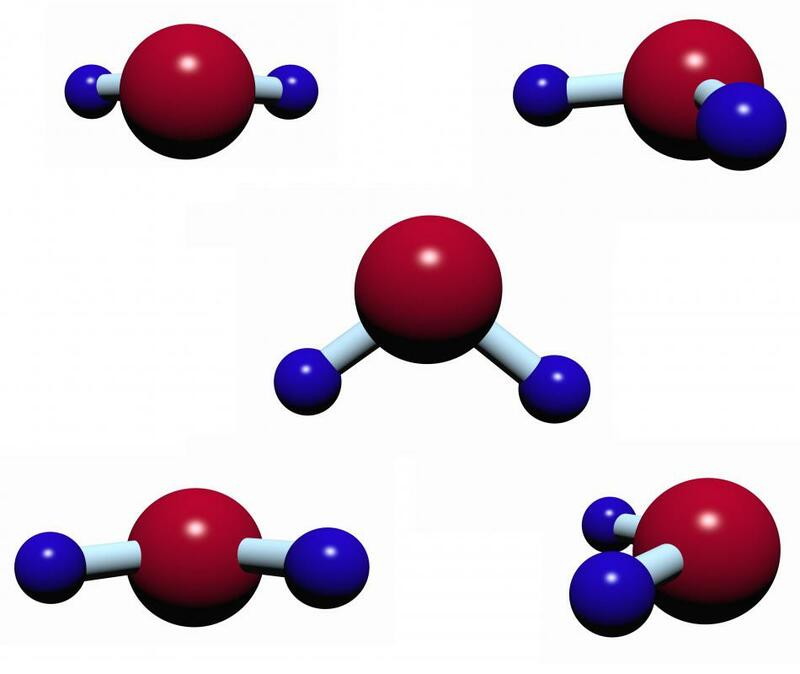 Nearly all water molecules are removed from freeze-dried beef. Freeze-dried beef is a type of beef that has been specially processed to removed nearly all of its moisture content, which acts as a method of preservation and storage without the need for refrigeration. The standard method for freeze-drying foods like beef and other meats requires that the food be first frozen solid, then heated above the vaporization point of water while it is placed in a vacuum environment. This vaporizes the water content of the food in a process of sublimation, where the ice in the beef changes to a gas directly from its solid state, bypassing the liquid phase. The advantage of this method over other types of preservation like that of dehydrated foods is that the structure of the beef is not damaged during the process, which better maintains its texture and consistency. The freeze-drying process is often confused with the process for creating sun-dried or dehydrated foods because both involve the removal of water content. Dried foods, however, are processed under normal atmospheric conditions in a slow fashion that can be accomplished at home through the purchase of inexpensive food dehydrators. It is common for dried snacks such as fruit to be made in this manner, but freeze-dried beef requires more precise scientific controls. The vacuum chamber is usually set with a pressure of 1.0 to 1.5 mm of mercury versus normal atmospheric pressure at sea level of 760 mm of mercury. 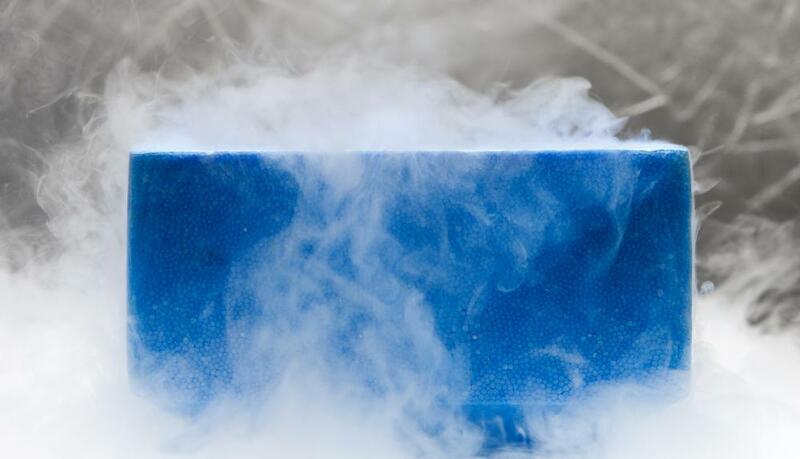 The temperature of the chamber for vaporizing the ice into water typically has a setting of 109.4 degrees° (43° Celsius). Several variations on the production of processed foods like freeze-dried beef do exist. Some of the freeze-dried beef that is manufactured is processed in a raw state, and some of it is cooked thoroughly beforehand for added preservation. Cooked freeze-dried beef has a shelf life that is two to four times longer than its raw counterpart and can last up to 24 to 28 months. To speed up the process of freeze-drying, additional heating elements may also be used that partially cook the beef in the process such as microwaves. The end result in commercial operations is a product with a standard moisture content after processing of 2%. Another term for freeze-drying is lyophilization, and the method has been used widely since at least World War II to preserve many other types of foods aside from freeze-dried beef. These range from such diverse products as coffee to fruits and vegetables and many types of pet foods. To facilitate the bulk production of freeze-dried foods, occasionally they are flash-frozen beforehand using cryogenic fluids like liquid nitrogen. Variations in the level of pressure in a vacuum chamber are also monitored, as higher levels of pressure can darken the end products of freeze-drying, especially with coffee. Variations on freeze-drying that can be traced back to ancient times substitute high altitudes for the modern use of vacuum chambers. The native residents of the Andes mountains in South America such as the Inca are known to have partially freeze-dried meat and potatoes in this manner. Freeze-drying has also been used as an important preservation method for non-food items such as blood plasma and penicillin. Among the main benefits of freeze-dried beef and other foods are that they are among the longest of preservation methods available for food as of 2011, and the process reduces the weight of the food to often less than one-third of its original weight for easy transport and bulk storage. Freeze-dried foods also absorb moisture much more quickly when being prepped for eating as compared to dehydrated foods that become more of a solid mass in the dehydration process, where it is difficult to infuse water molecules back into them. Dehydrated meat tends to have a very tough texture no matter how carefully it is cooked, which is not usually a concern with freeze-dried beef. Though some freeze-dried products like cottage cheese are claimed to last for 25 to 30 years before spoiling, there are some downsides to this type of food processing as well. Freeze-dried food is quite expensive as compared to other foods. This is due both to the strict controls necessary for the process to work correctly and the large amount of energy required. Freeze-drying pound for pound takes 1.2 times more energy than canning food and 1.7 times more energy than normal freezing to preserve it. What Are the Different Types of Dried Meat? What Are the Best Tips for Cooking Ground Beef? What Are the Best Tips for Freezing Ground Beef? What are the Different Types of Freezer-Friendly Recipes? What are the Different Types of Freezer Cooking Recipes?